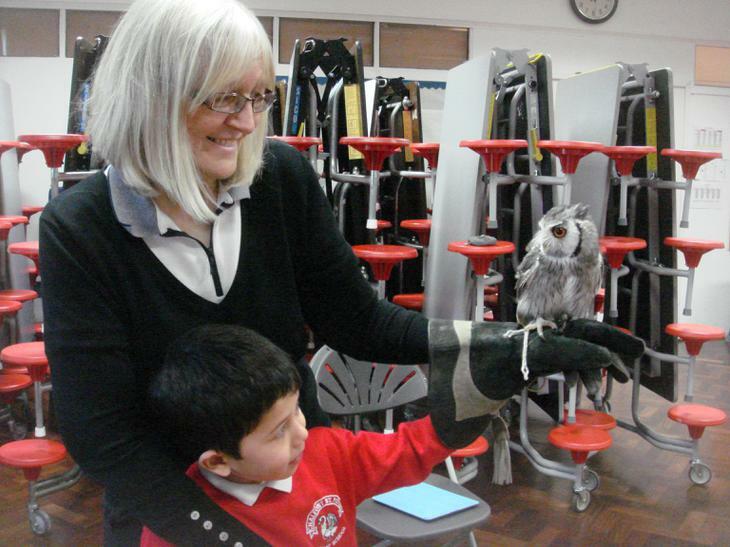 Our week began with learning from the book 'Owl Babies' by Martin Waddell. 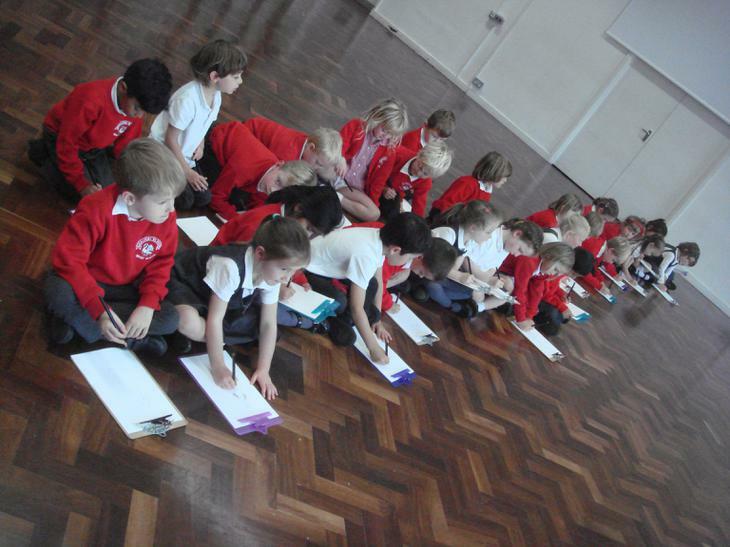 We worked collaboratively in small groups for Drama role play. 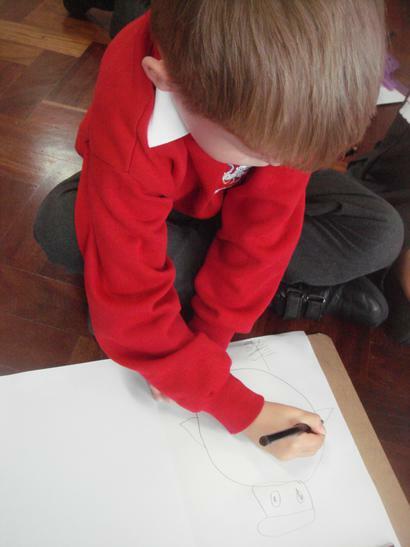 We tried hard to use expressive voices in order to create the characters from the book. 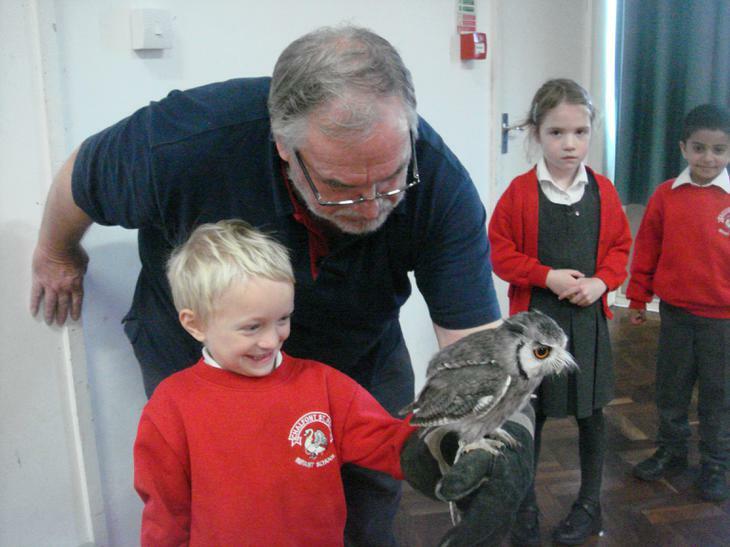 'Bill' was a hoot! 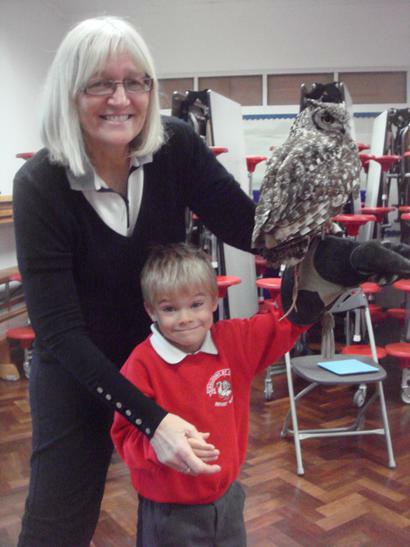 He loves his Mummy! 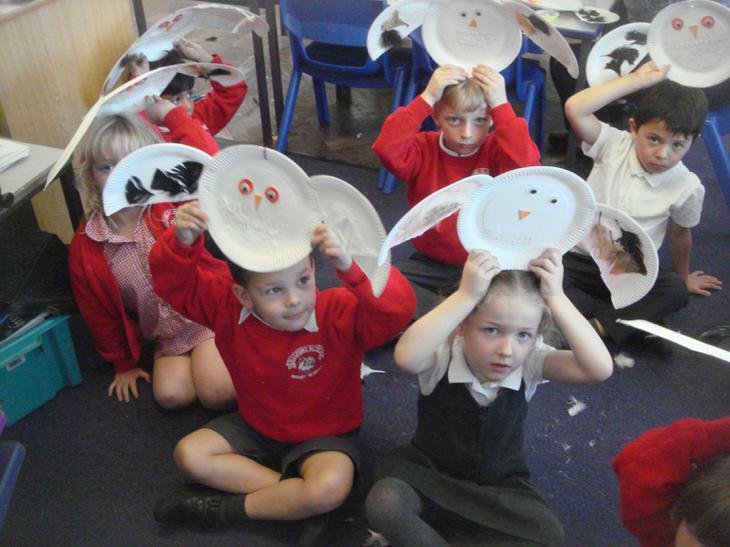 The next day, we used our developing writing skills to retell the story of the 'Owl Babies'. 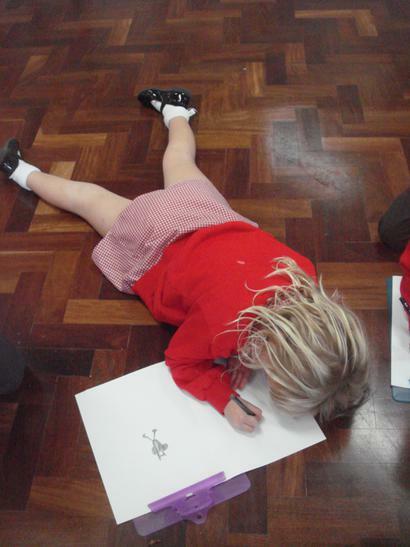 We tried very hard to use capital letters and full stops! 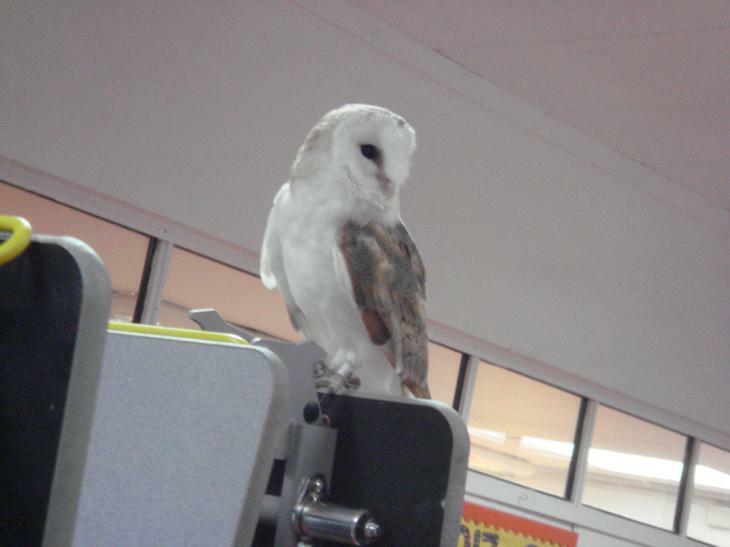 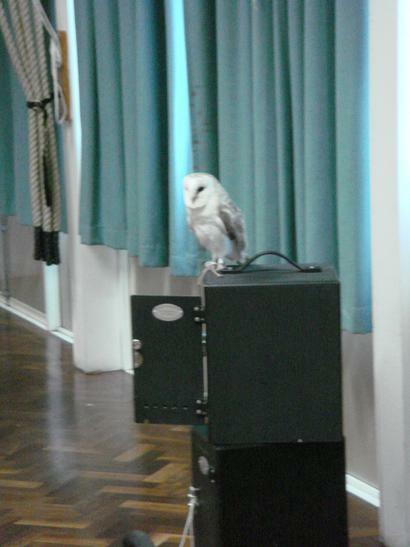 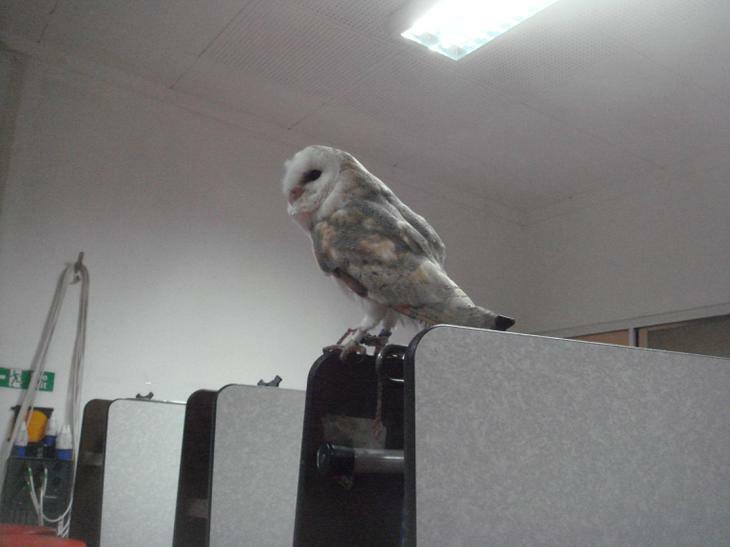 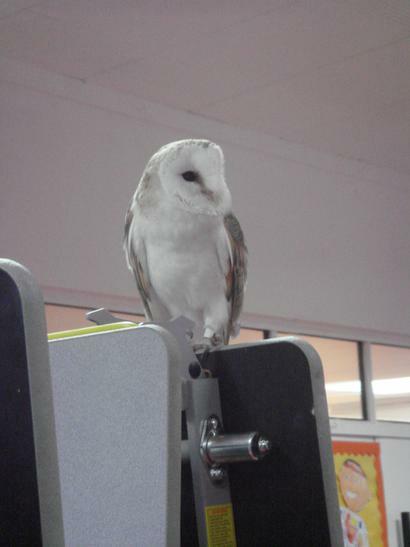 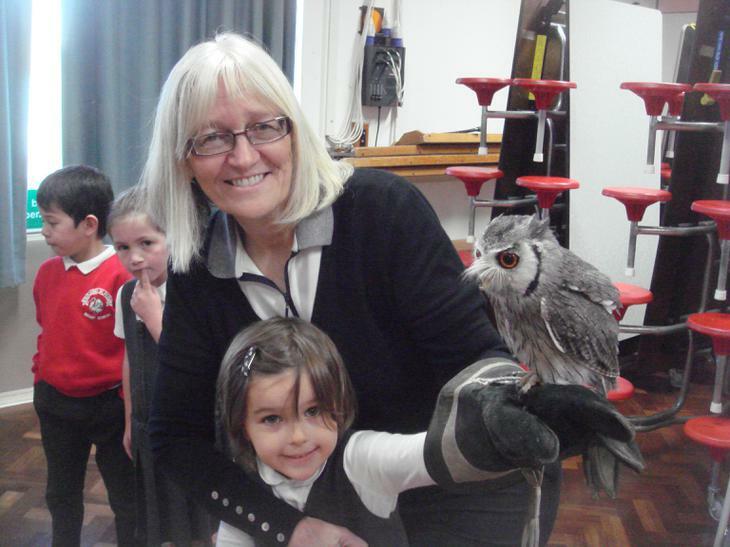 Mrs West told us that owls would be coming to our school! 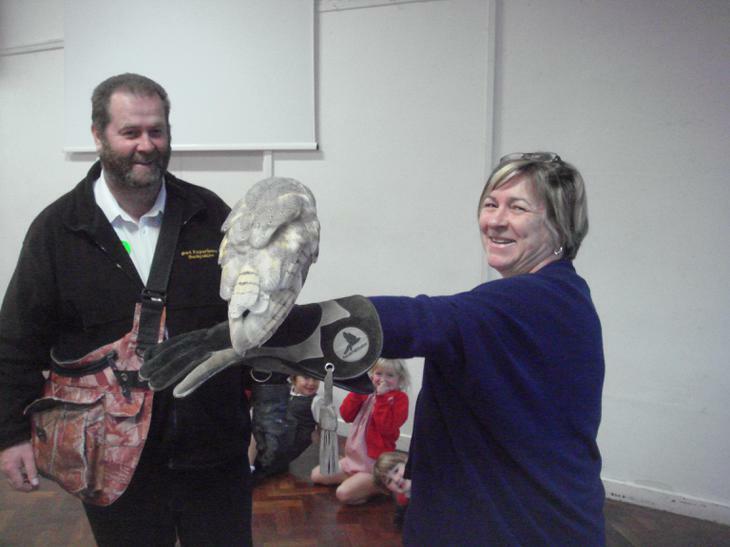 Yes - real owls! 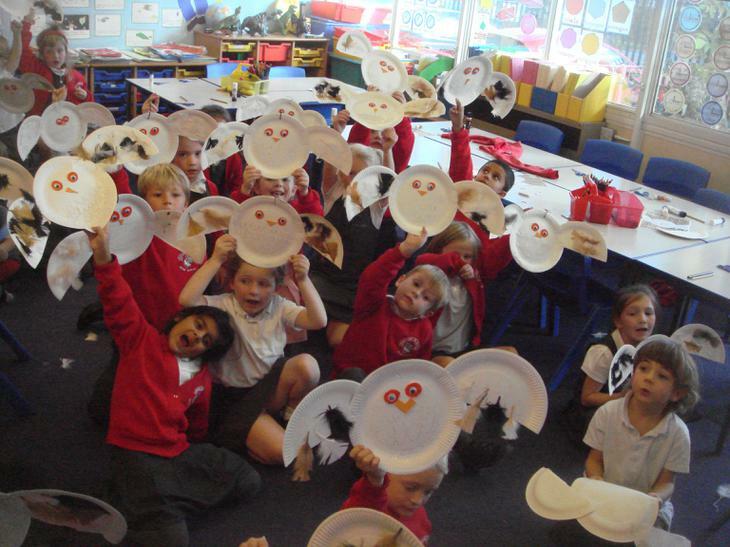 We were so excited, we all screamed! 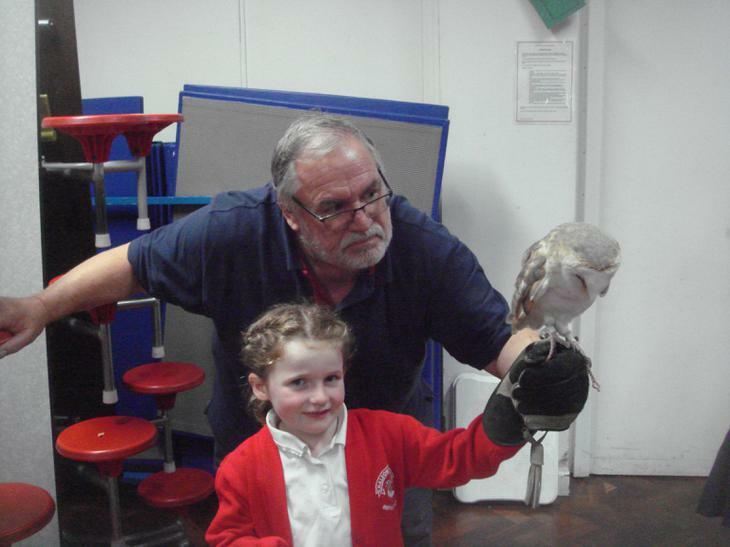 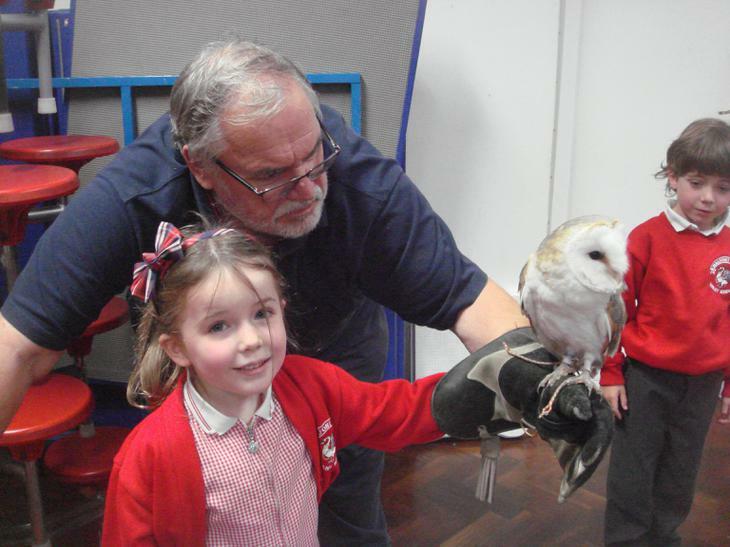 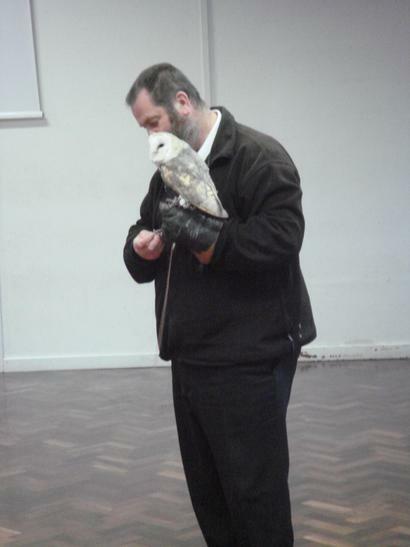 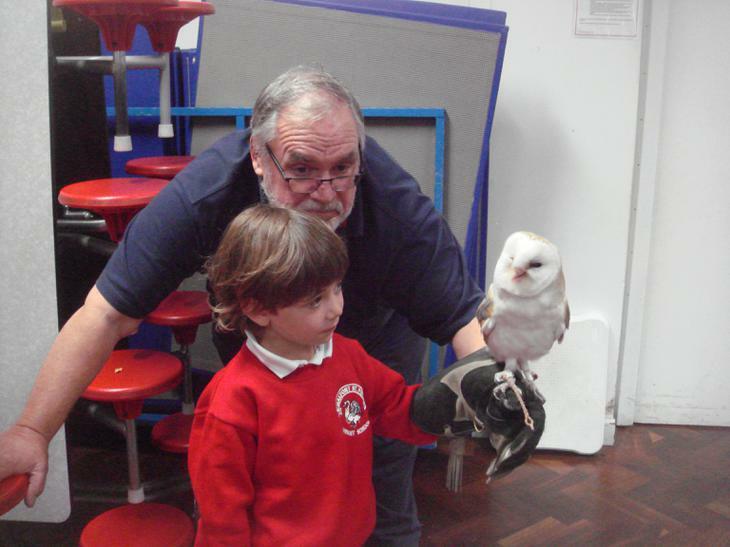 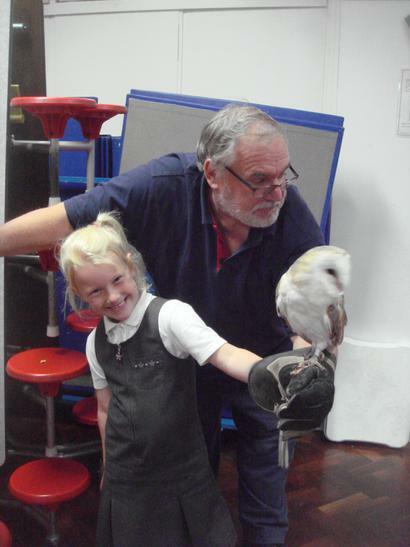 On Thursday Mr Bob Morley brought Archie, Gizmo and Spike to visit us! 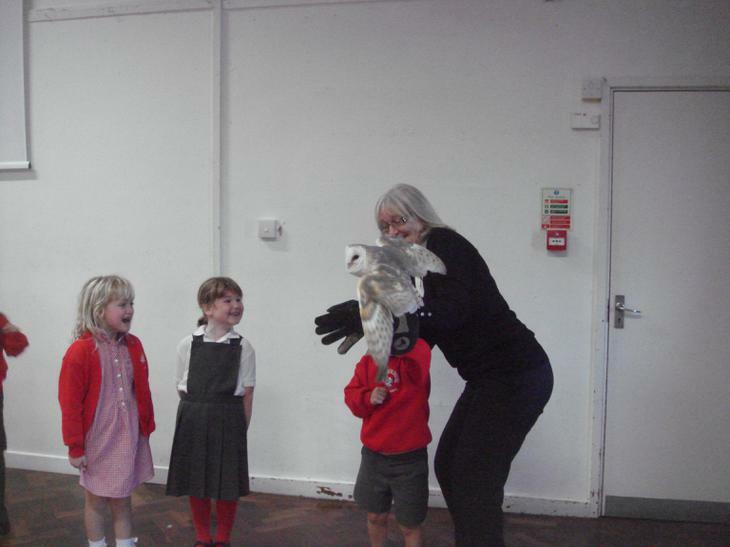 They were all very different but they all had a wonderful time flying around our School Hall! 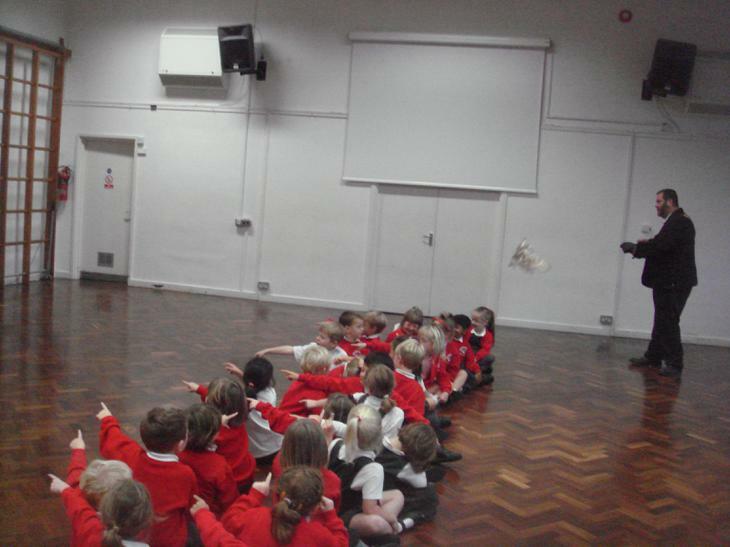 Most of us were so lucky to join in with the flights. 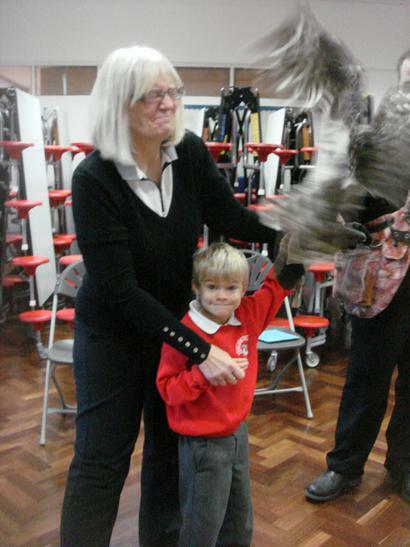 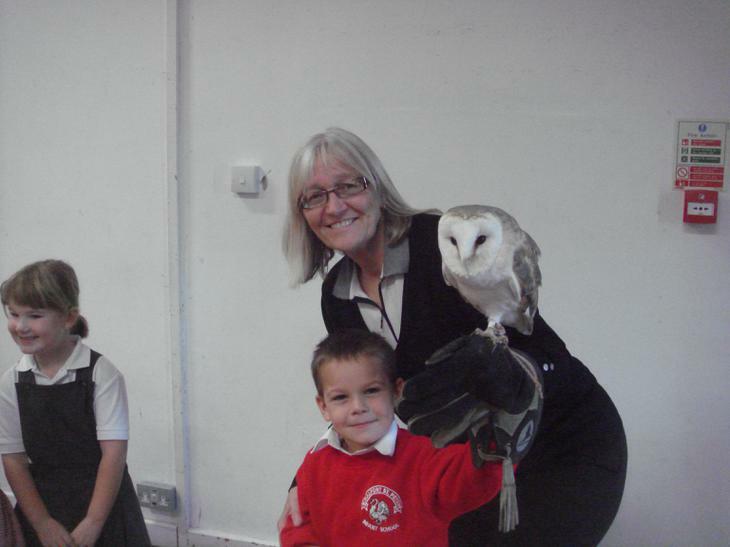 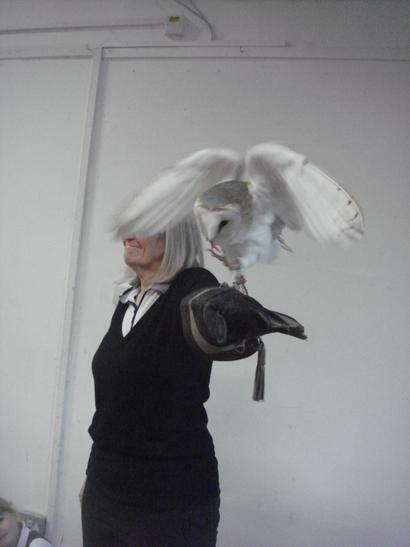 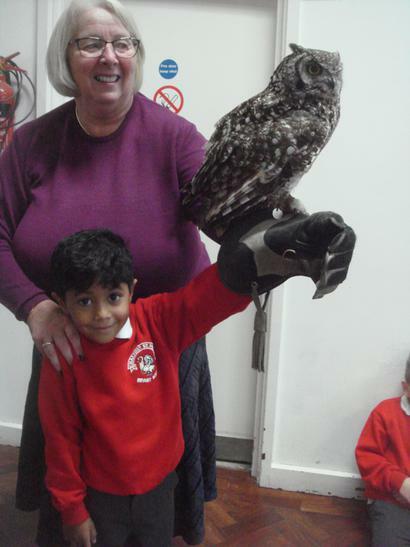 Mrs West helped us to put our hand in a very strong leather glove and the owls flew to us! 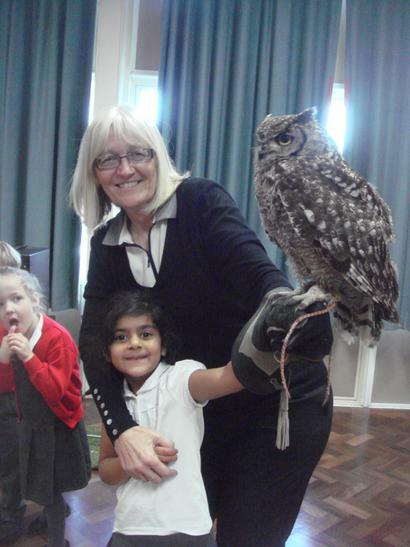 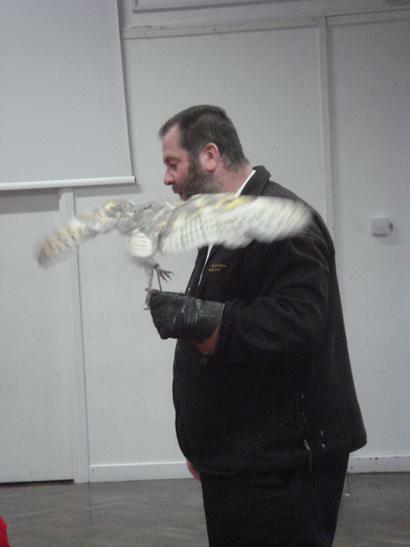 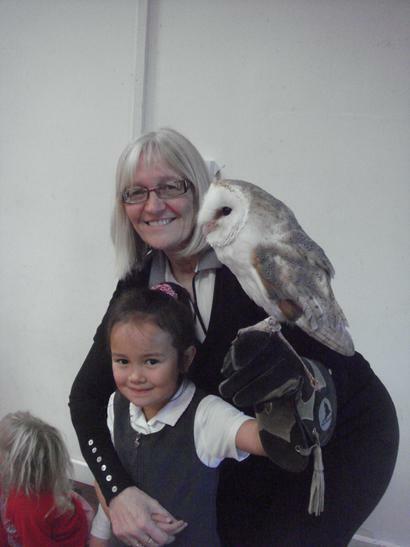 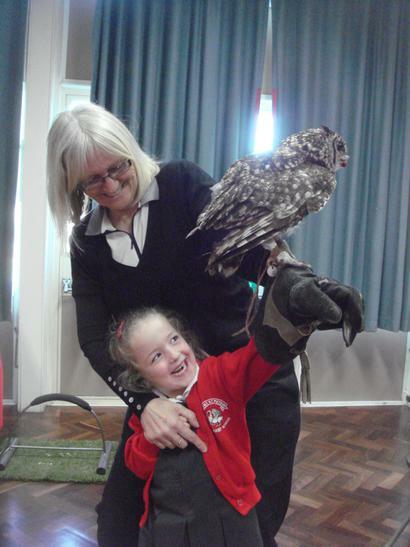 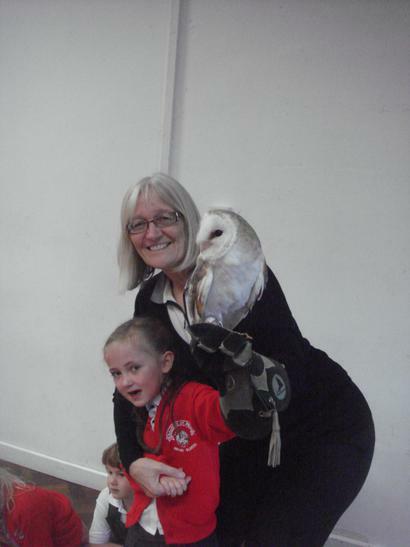 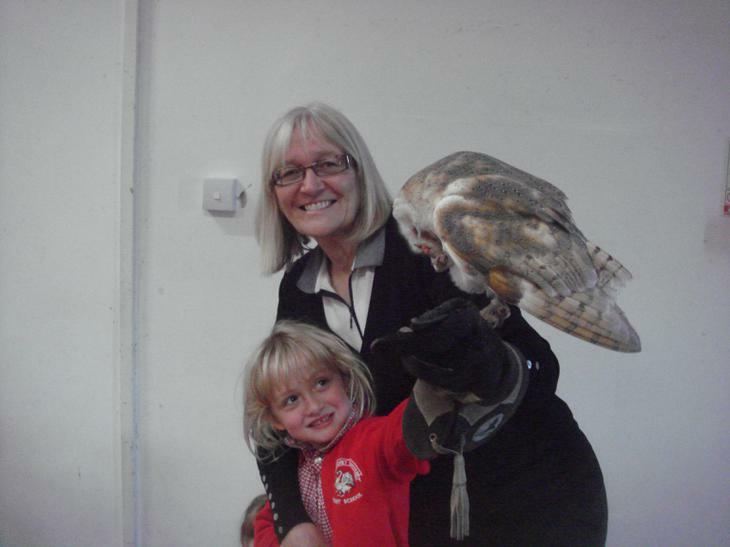 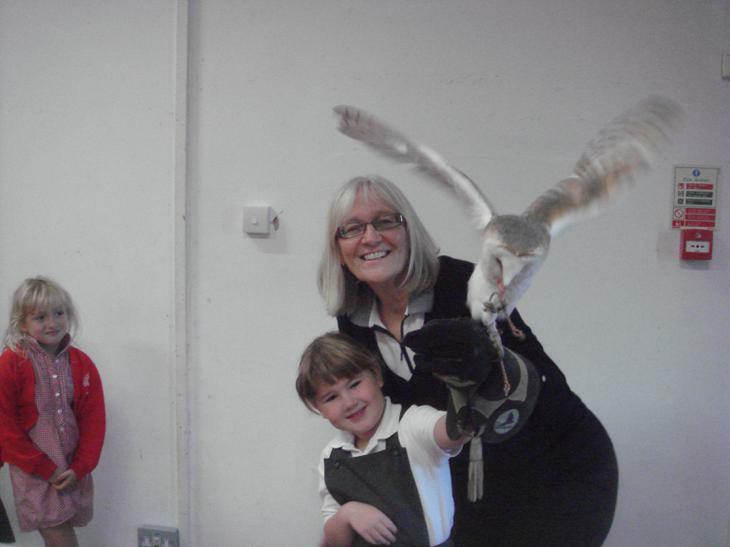 We were so brave but Mrs West closed her eyes every time as the owls flapped towards us! 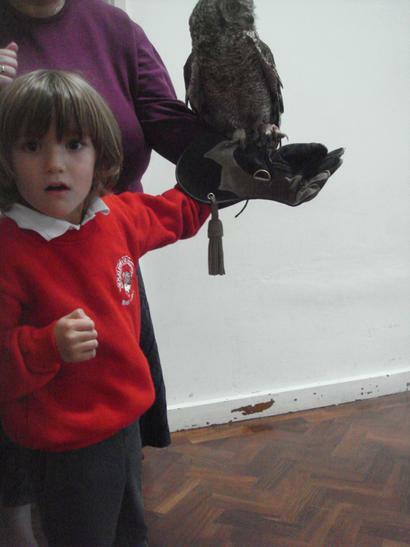 Spike was really big! 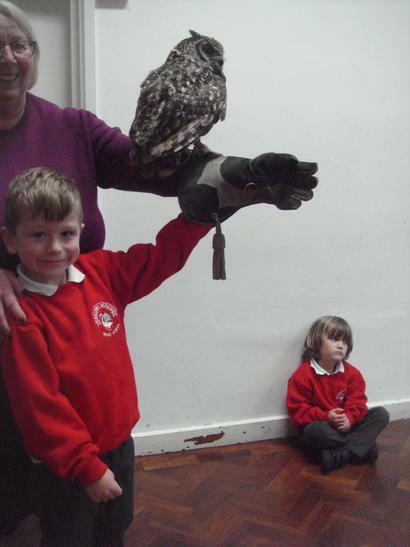 We learned all about how they hear, see and hunt. 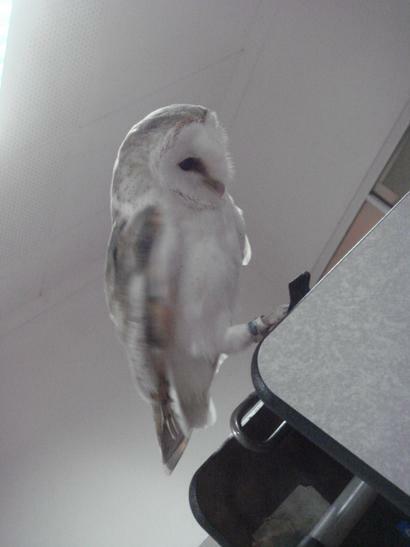 Did you know that owls can't see very well? 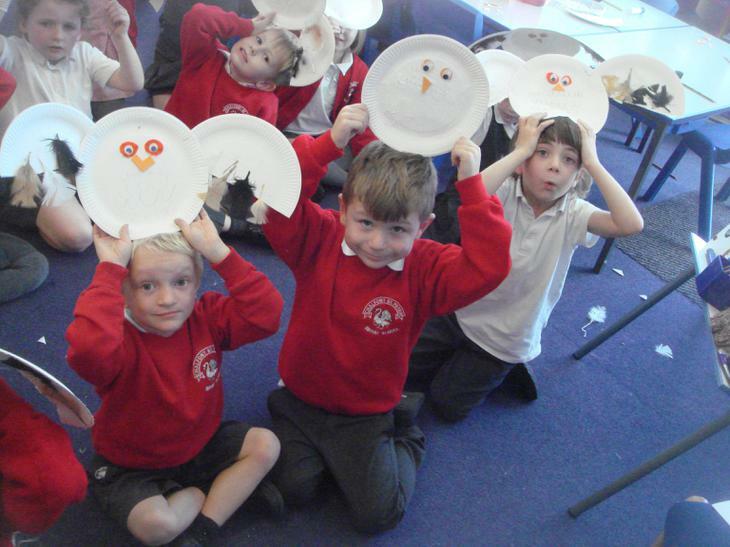 They use their excellent hearing to listen for rats and mice for a yummy snack! 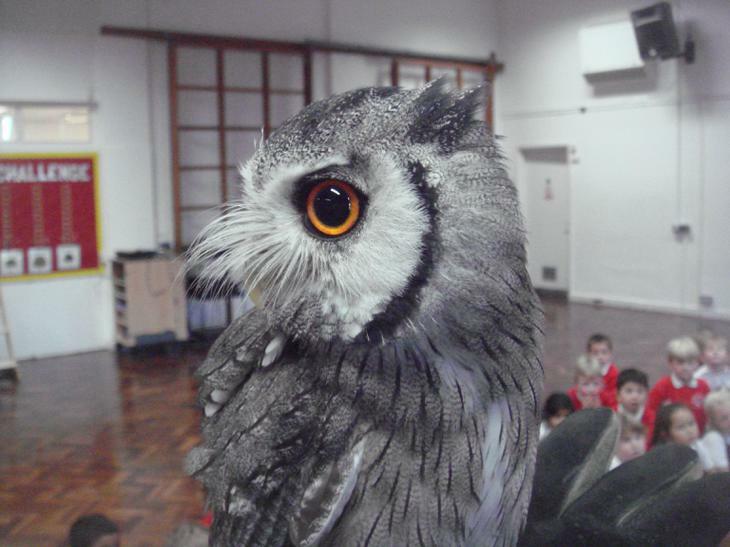 Did you know that owls have one ear higher than the other? 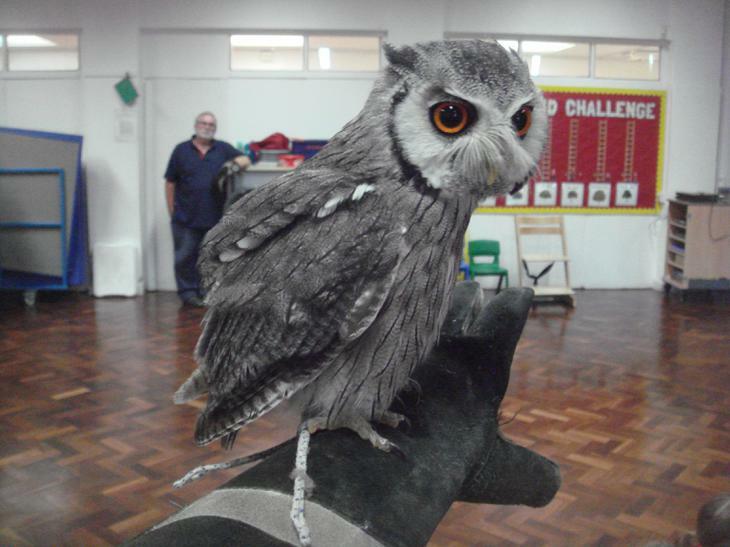 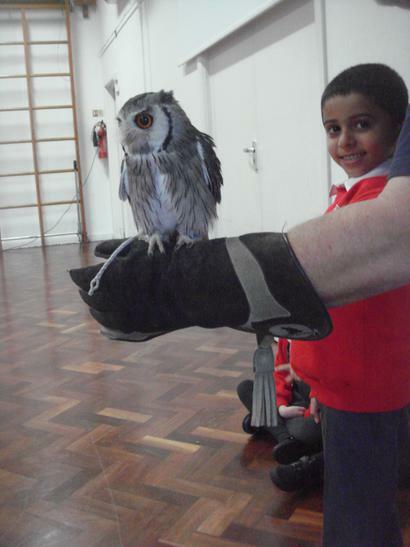 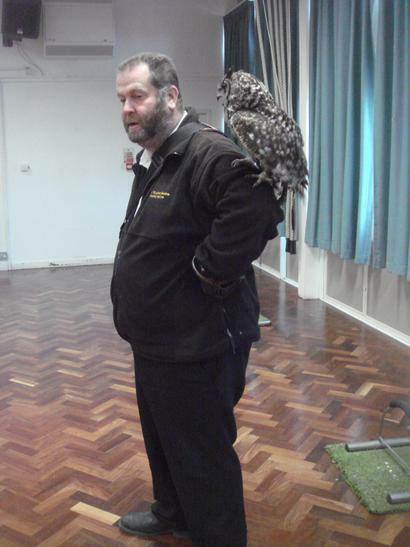 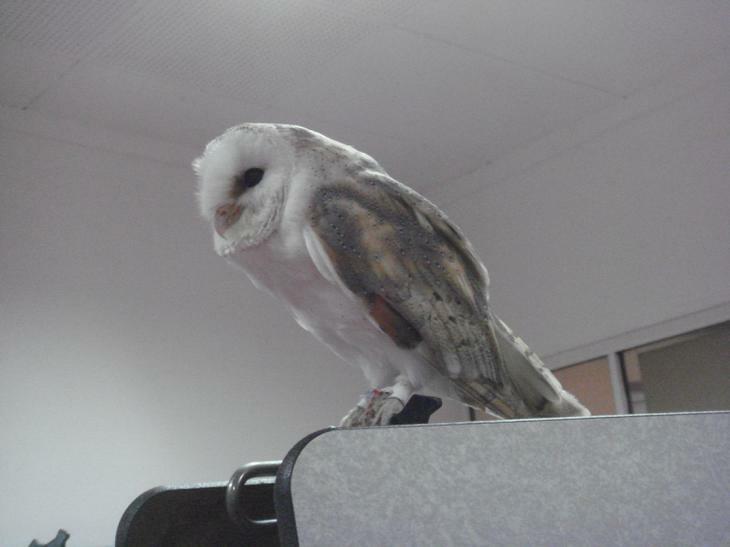 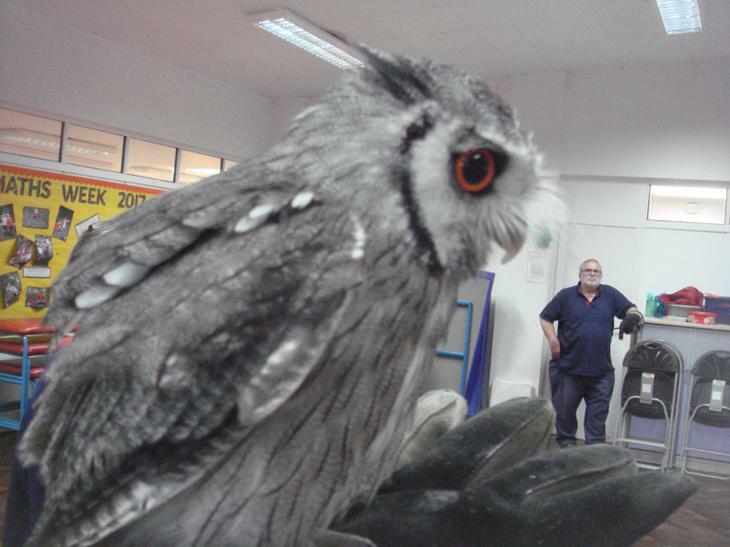 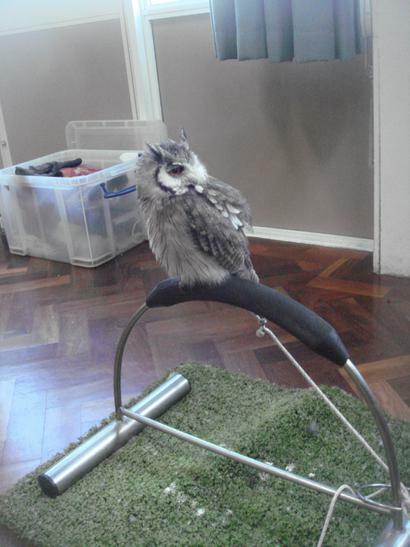 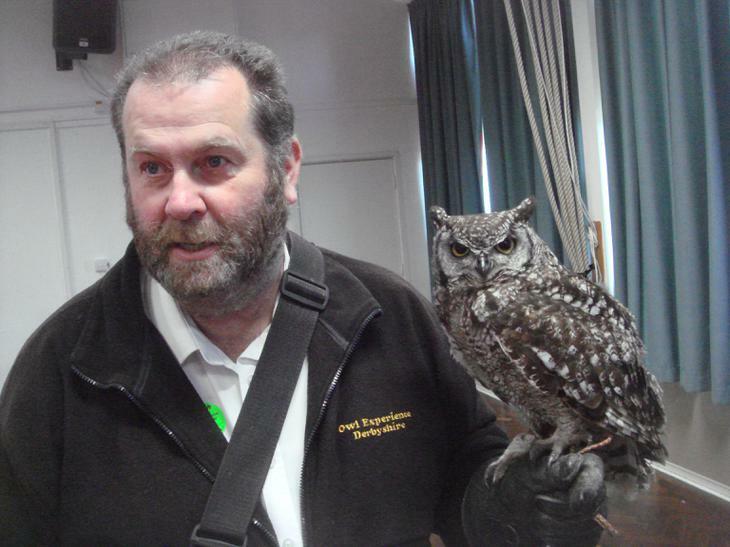 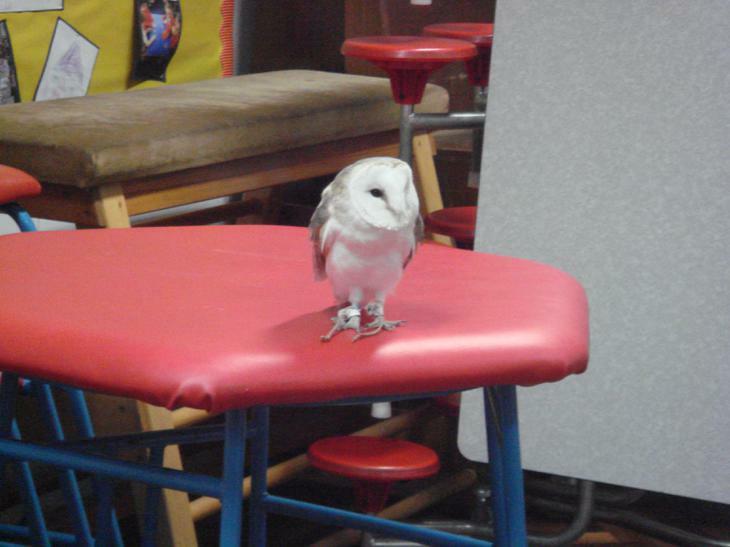 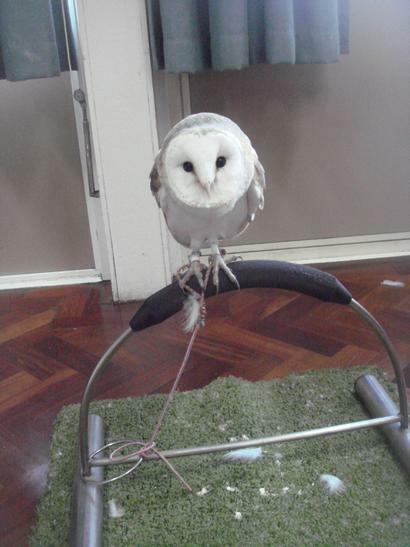 Did you know that an owl can turn his head three quarters of the way round? 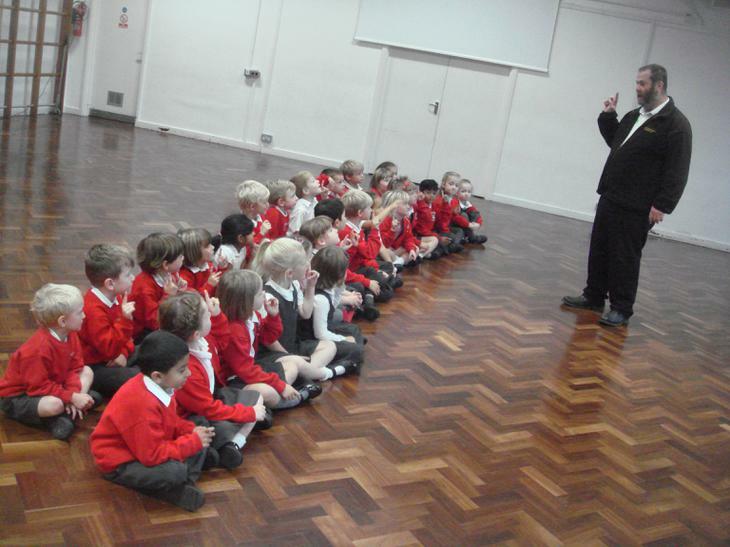 Mrs West said that many adults would like to have 'eyes in the back of their head'! 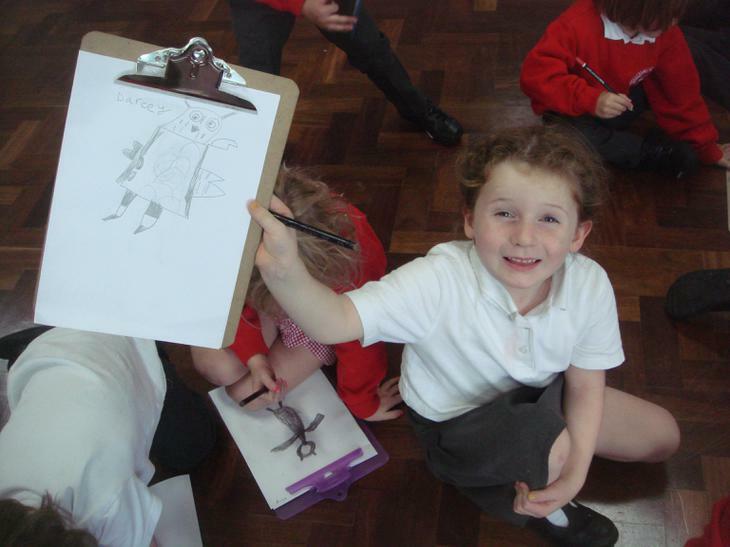 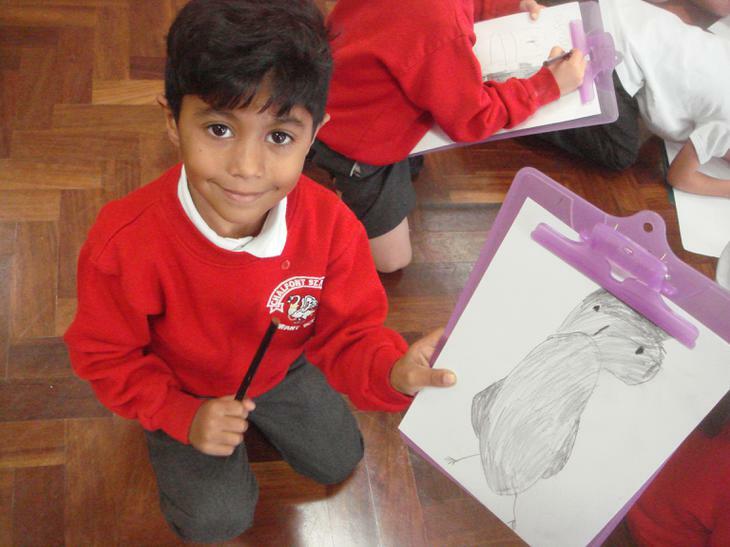 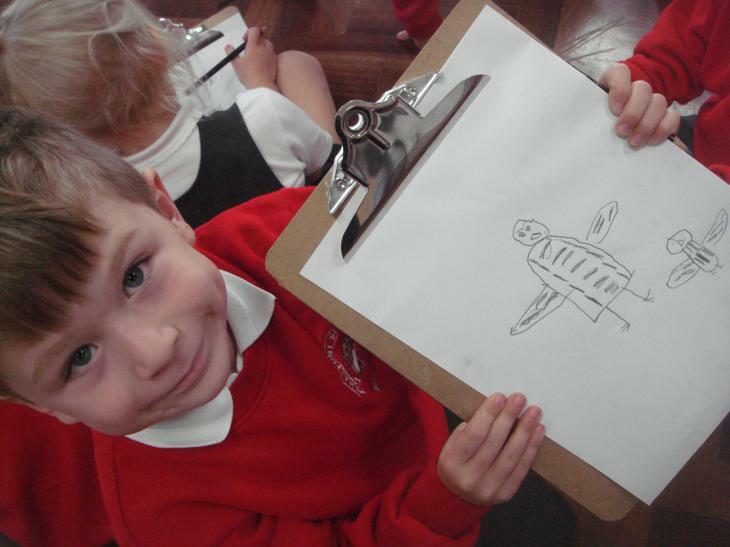 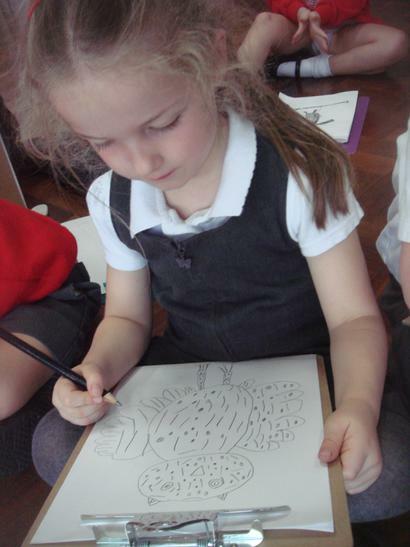 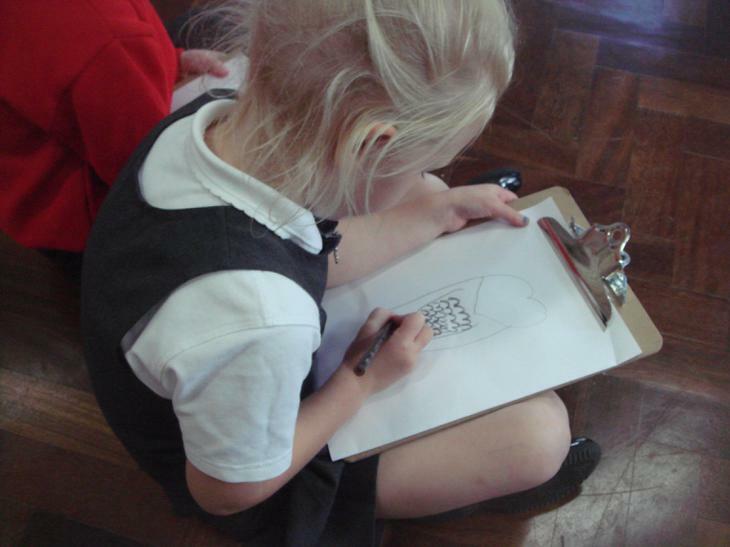 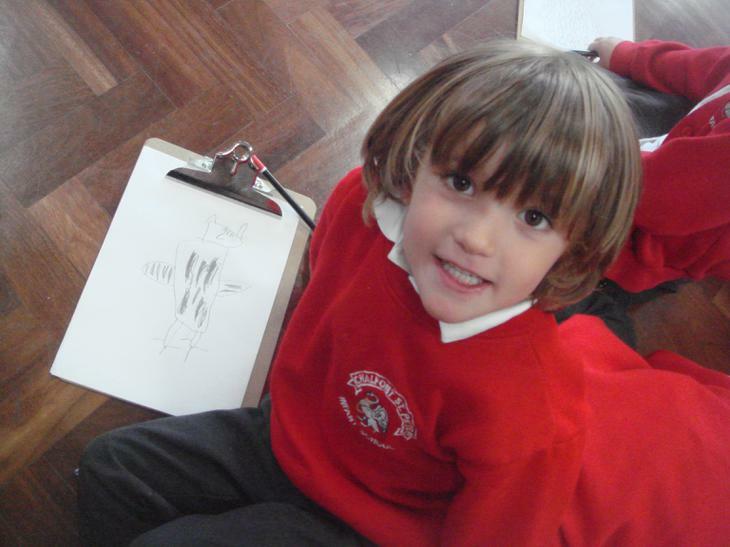 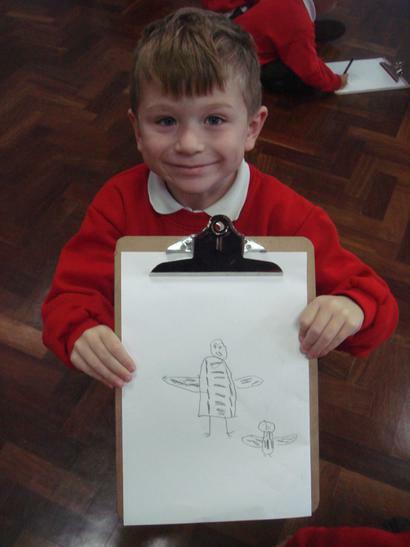 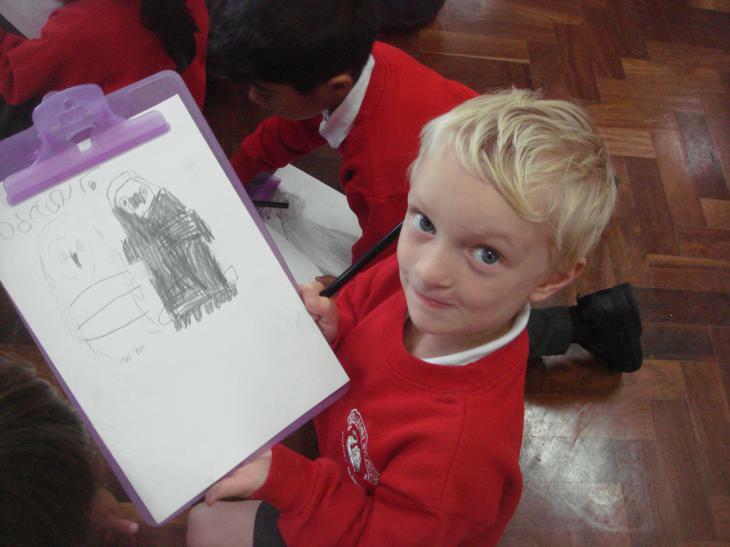 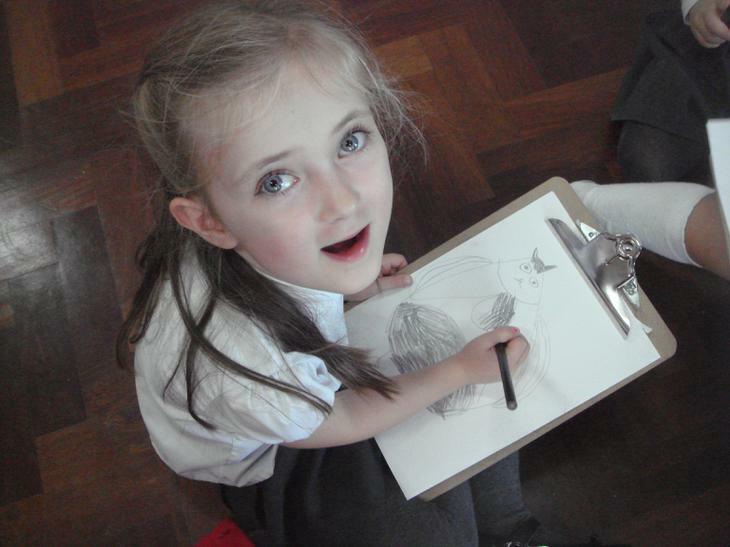 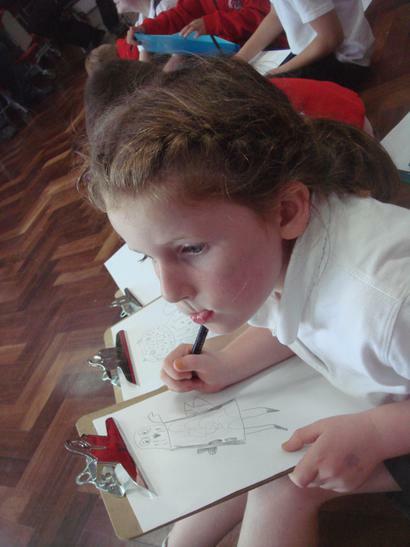 After the flights we returned to the hall to enjoy some observational drawing where we tried so hard to draw the feathers. 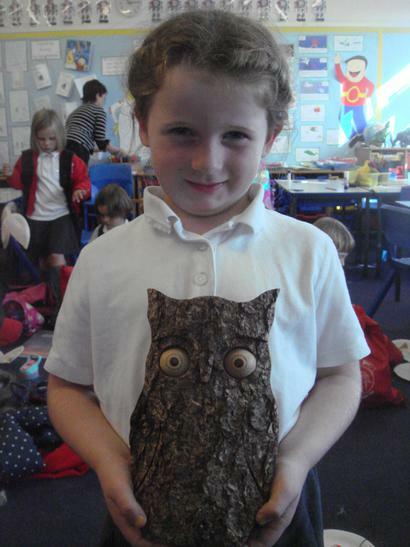 Tilly was awarded 'Worker of the Week' for her amazing drawing! 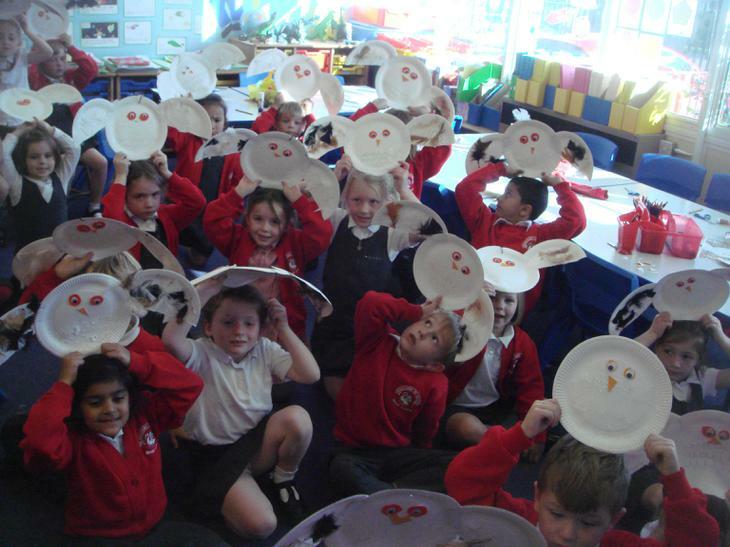 We finished the day by making our very own owls from paper plates! 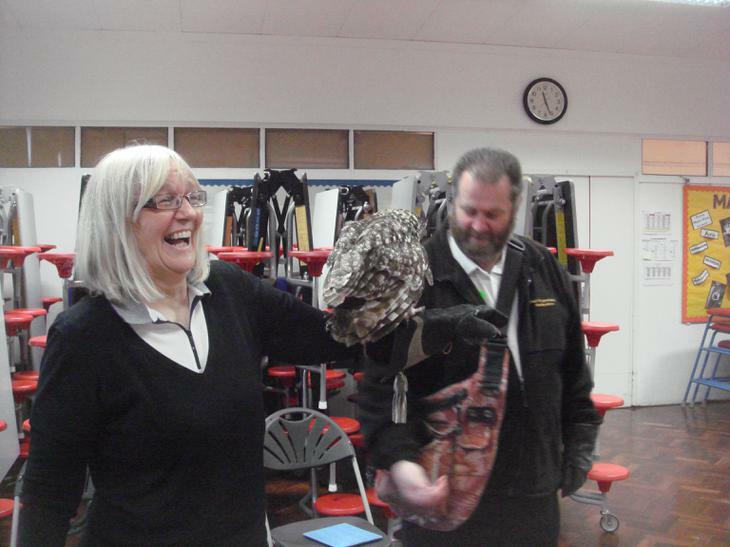 It was such a wonderful day and even Ms Cornes and Mr Freeman came to see the owls! 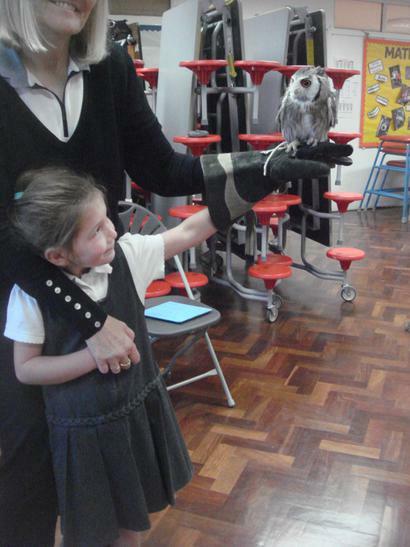 We would like to thank the PTA for funding such a wonderful experience for us!